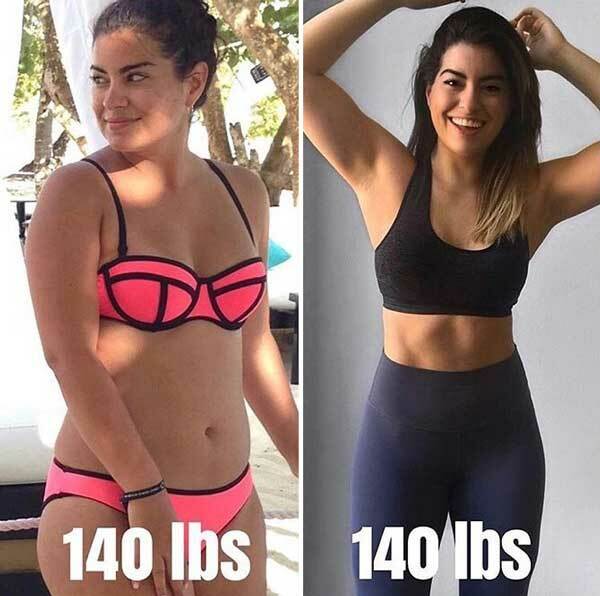 Here are some before-and-after photos of people at the same weight but in a very, very different shape. 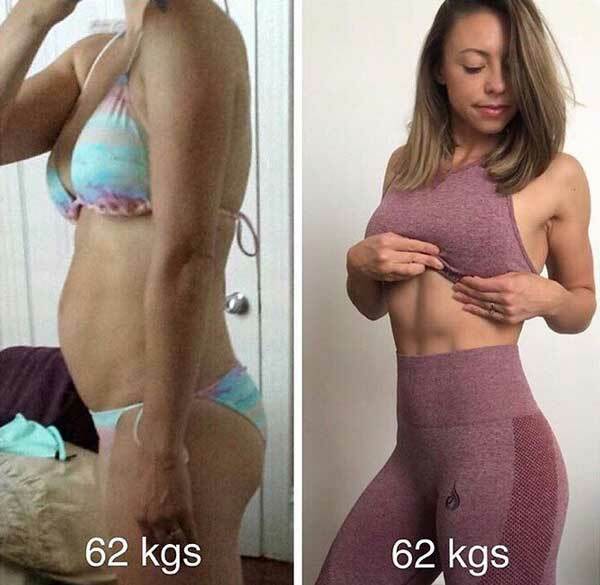 You’ll see, there’s no need to starve yourself to achieve great results. 1. 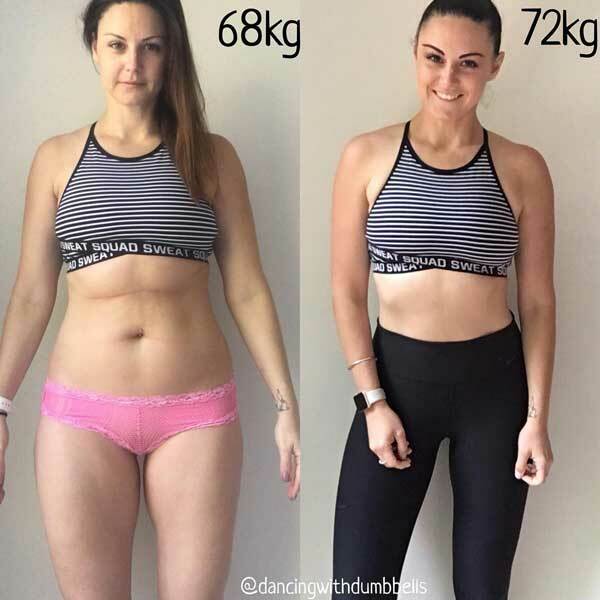 SCREW THE SCALE, it legitimately means nothing. It has never reflected my healthiness or fitness level AT ALL. 3. 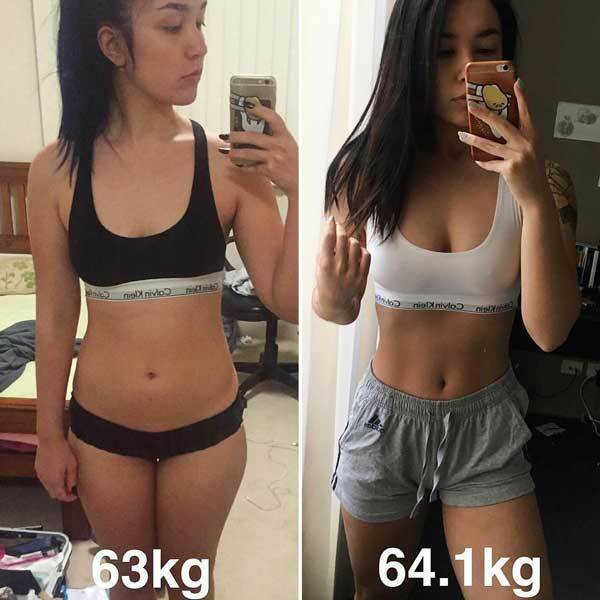 You know what the main difference is between these two photos? Besides the underwear. 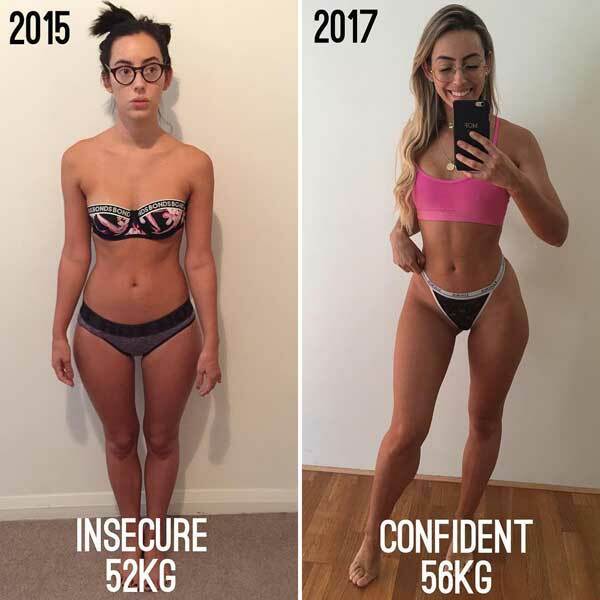 It’s my confidence. 5. 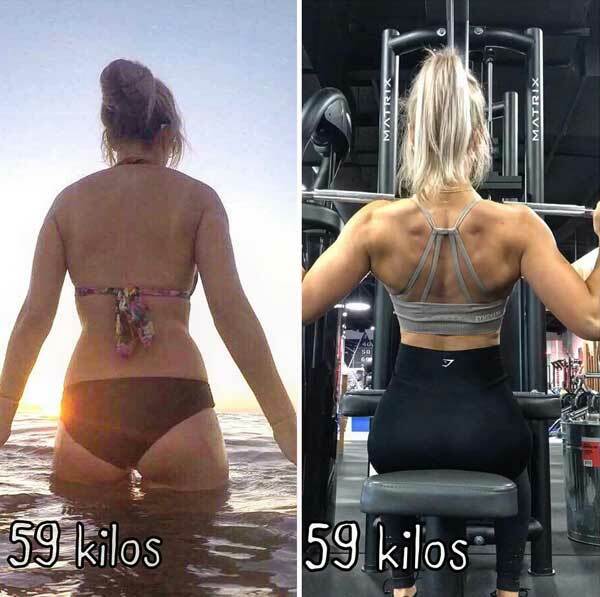 If you’re consistent at lifting and exercising and hitting protein, don’t quit because things ARE happening whether the scale reflects it or not. 6. 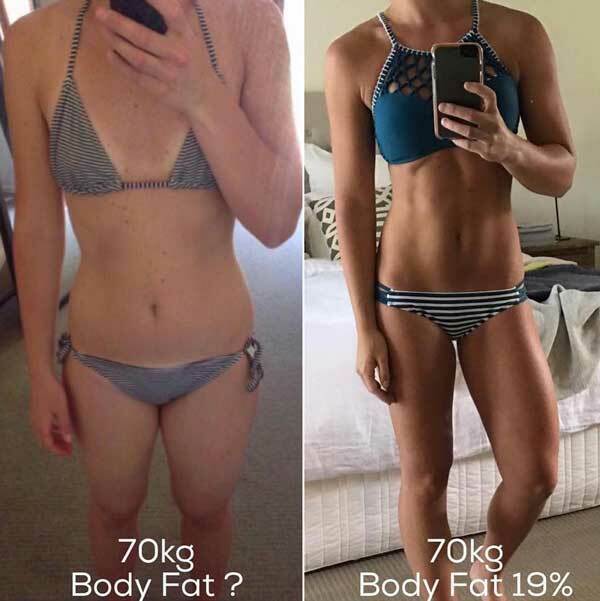 My body composition is completely different though I weigh EIGHT pounds more now. 7. 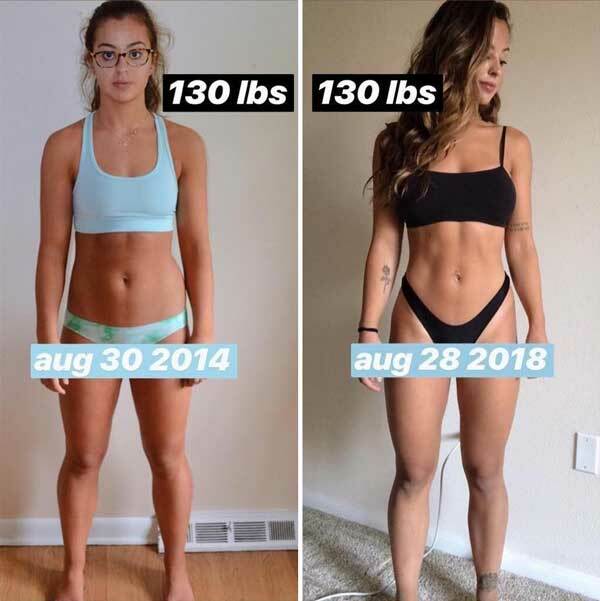 Don’t forget that the scale means absolutely nothing. 8. 2014- burnt chicken nugget 2018- gardein chicken nugget. 9. We are giving the scale too much power over us. 10. Heavier, healthier and PROUD. 11. They say it takes 21 days to create a habit. 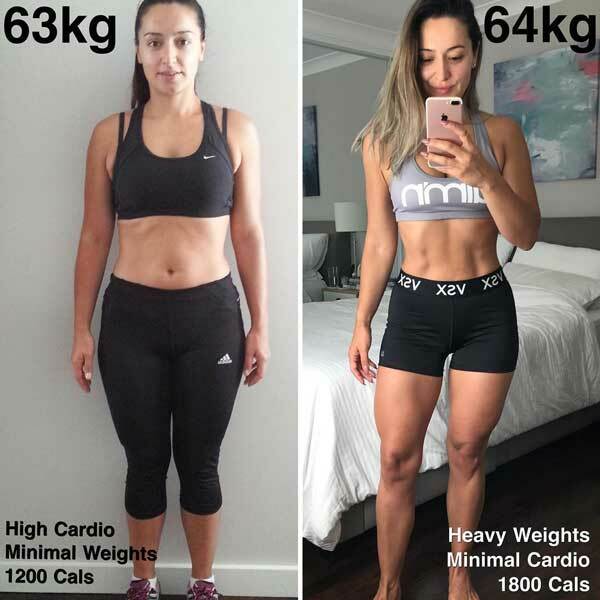 It’s that habit of discipline and the determination of wanting to create a healthier life for myself that has been the backbone of my training the last two years. 12. 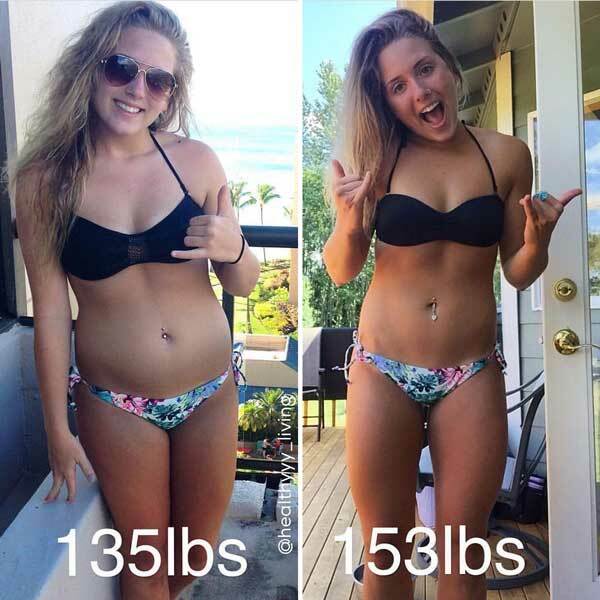 The scale doesn’t always tell us the truth, but pictures do. 13. 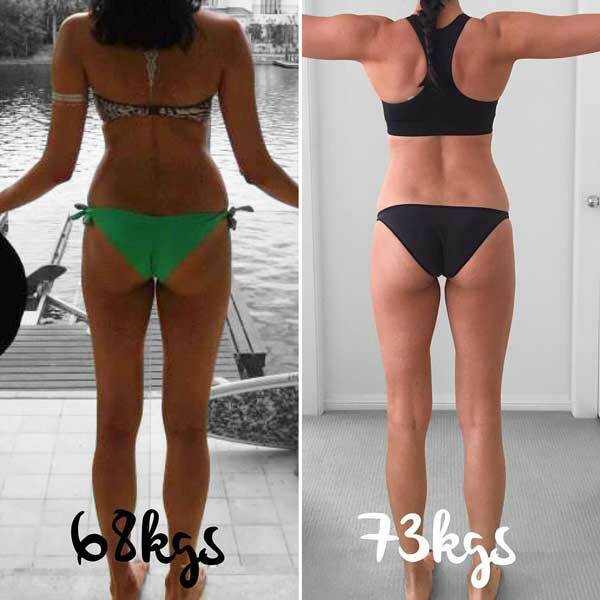 Why are we so hung up on how much we weigh? 14. 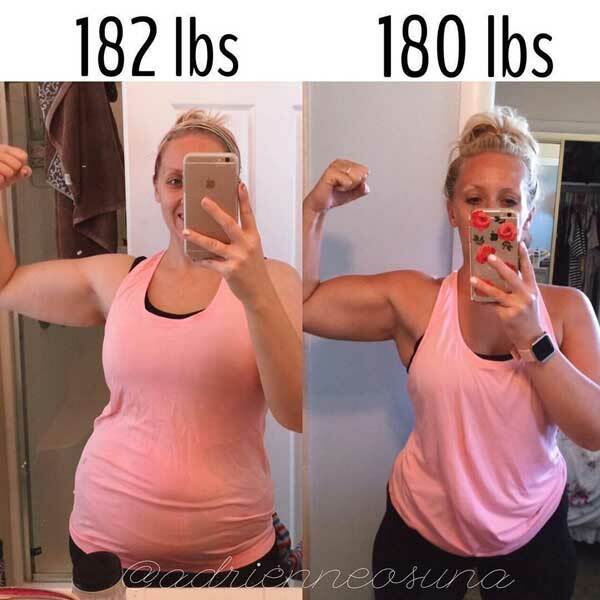 I started to care less about what I weighed, and more about how I felt. 15. THERE WAS NOTHING WRONG WITH MY BODY. But there was EVERYTHING wrong with the way I viewed it, and how I treated it. 16. 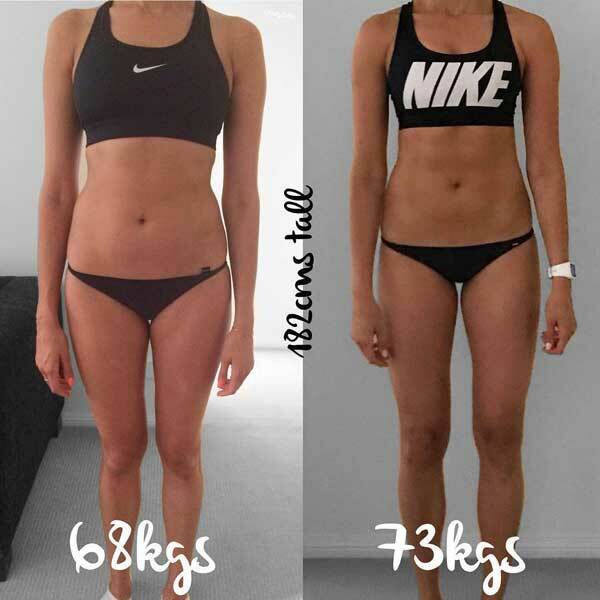 What you see on that scale is NOT a true indicator of your health!!! 17. 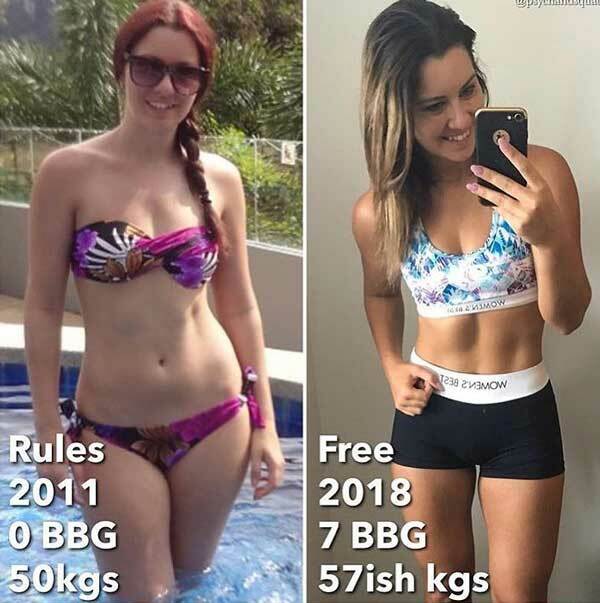 7 years on, 7 rounds of BBG down and about 7 kg heavier. 18. Eat healthy, train hard, sleep well and give your body the TIME it needs to transform from the inside out. 19. 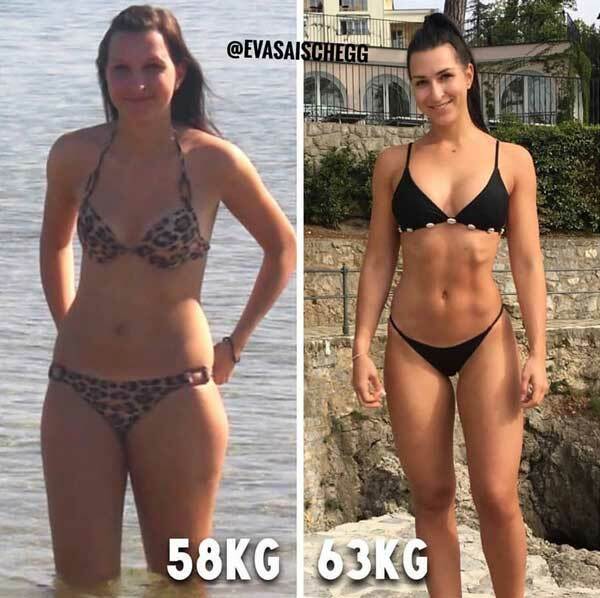 Don’t be afraid to gain weight, build muscle and eat more food. 20. 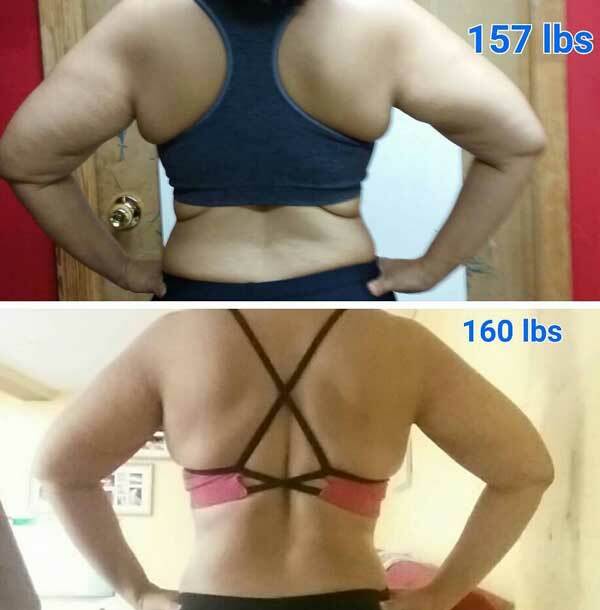 2 years later and an entirely different body composition.